this is not include retail box. It is include power adapter and mainframe only. when you order it,pls check it. The Actiontec GT701 USB/Ethernet DSL Modem offers a comprehensive and expandable solution for residential or small office DSL access. 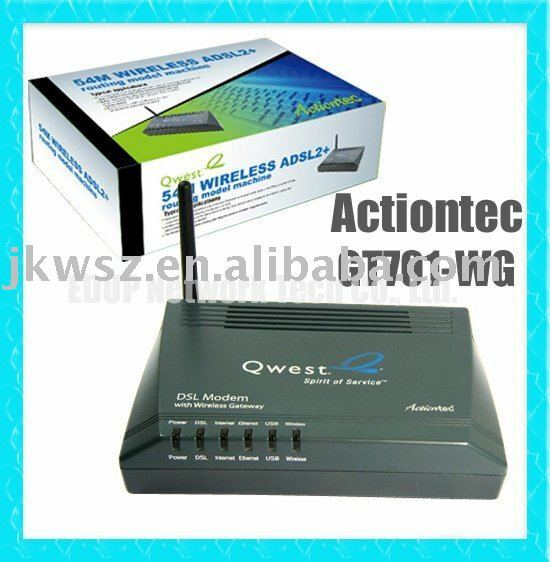 It features a full-rate ADSL modem, offers choice in PC connectivity (Ethernet or USB, just for one PC in one time) and is upgradeable with full wifi router capabilities for instant sharing of a DSL connection on multiple computers in wifi network. Note1: we only offer EU standard power adapter, if you from other Country,we can match an power adapter converter for you. Note2: there isn't any CD for this router,If you don't know how to use it,we can provide English E-file manual.